Merrick, NY—Respondents to The Centurion Holiday Sales Success Index for the third week of the season (December 11 through 17) have, for the most part, continued seeing strong sales gains over the same period last year. One-third of respondents posted sales gains of more than 10% over the same week last year, and in total, more than half of respondents (57%) saw some sales gains ranging from modest to considerable. 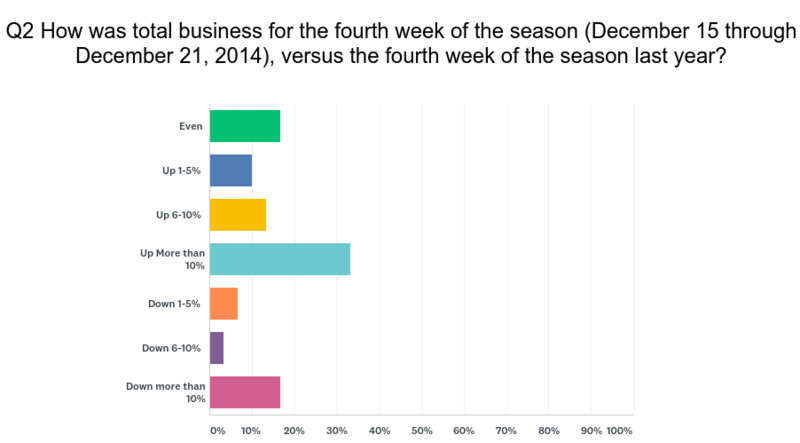 17% of respondents said this week was on par with last year. Responses were mixed about traffic and average ticket, however: About two to one, respondents said big sales made up for decreased foot traffic vs. those who reported increased foot traffic making up for lower average sales. But last week 17% of respondents also reported a significant drop in sales (-10% or more) over the same period last year. In total, 27% of respondents reported year-on-year sales dips, ranging from slight to significant, for the third week of the season. This is fewer than the number of stores reporting declines for the second week (28%), but it’s the highest number this season of stores reporting declines of more than 10% year-on-year. As with all weeks of the survey, some—but not all—sales declines are attributable to unique regional issues such as the California wildfires and Texas and Florida hurricanes. 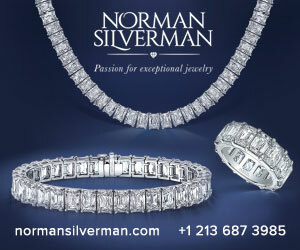 What are jewelers doing to drive traffic this year? The largest majority (25%) attribute sales gains to increased digital presence, whether that's by executing a better social media strategy, using Google AdWords, Yelp ad boosts, and so forth. Calling customers and holding special events remain tried-and-true strategies, and one jeweler even took customers outside the store by hosting a special Christmas gala at a nearby luxury hotel. Some of the more innovative ideas respondents listed included having a large selection of “grab-and-go” gifts, and $100 coupons good for any purchase over $250, with no restrictions at all. 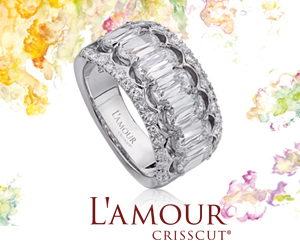 Jewelers relied on additional and extensive sales training and sharp inventory control. “We have removed, sold, or stock-balanced anything over two years old. What we are showing looks newer to our customers,” wrote one. And another focused on something completely different from the normal holiday gift fare: investment coins and diamonds. A better big picture. Affluent U.S. consumers are expected to spend $36 billion total this holiday season, according to new research from YouGov’s Affluent Perspective study. The Connecticut-based YouGov estimates all holiday sales—including both affluent and non-affluent consumers—should rack up $95 billion this year, and the 14% of U.S. households earning $150K or more will drive almost one-third of those sales. YouGov defines “affluent” as household income over $150,000, a segment that is growing. Another 17.8 million households--also roughly 14% of U.S. households--earn between $100k and $150k, said Mount. Those consumers, though not counted in the affluent sector of this YouGov survey, are still considered by many demographers as affluent, especially if they have few or no children and live in lower-cost areas. 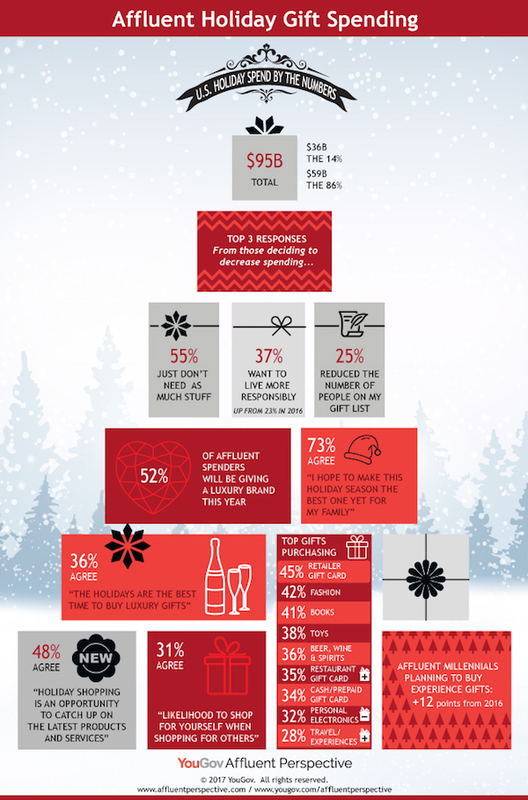 In this holiday's survey, 73% of YouGov’s affluent respondents agreed with the statement, “I hope to make this holiday season the best one yet for my family,” and 52% will be giving a luxury brand gift this year. 31% will treat themselves in the process of shopping for others. Among those affluent consumers who decided to decrease their holiday spending—there are some—the main reasons cited were emotional, not economic, says YouGov. Either those consumers felt they have enough or they’re simply giving to fewer people. But two cautionary survey findings to track: the number of YouGov respondents spending less this year because they “want to live more responsibly” leapt from 23% in 2016 to 37% this year, and the number of affluent Millennials planning to give an experiential gift rather than a tangible item leapt 12% over last year.